Hillel Yeshiva is a premier religious school in Ocean Township NJ, serving residents of the Jersey Shore. The school services children from as young as 1.5 years through high school, and is comprised of 4 divisions set on a campus-like setting in Ocean NJ. 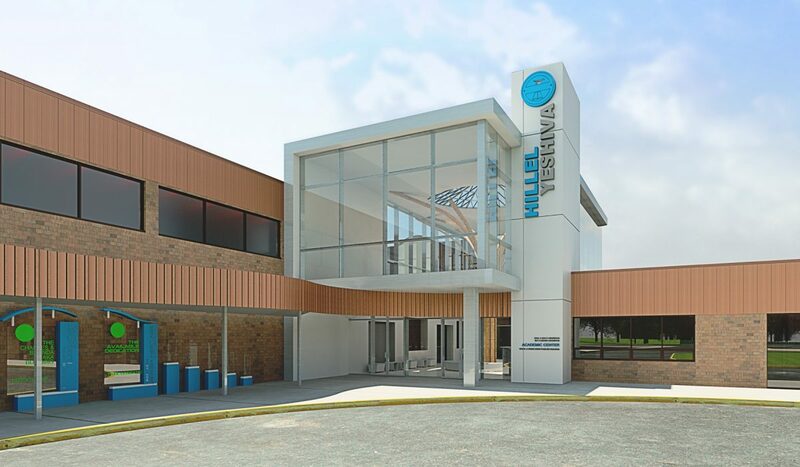 Massa Multimedia Architecture has been selected to provide the architectural and design services for a complete campus wide renovation and facilities upgrade to accommodate the needs and growth of the current and future student populations. The ambitious project includes the design of a brand new Entry, a new Mommy and Me Center, complementing the sports program with an upgraded Gymnasium, and a brand new Gymeteria, and redesigning and upgrading the Classroom Learning Experience. No surface in the aging school building is left untouched, injecting a brand new vitality and excitement in every inch of the campus. In designing this project, the Team at MMA, studied the programmatic and cultural needs of the school and the wider community to inject modern classroom design principles into the timeless traditions taught at the school. Utilizing modern technologies and systems, lighting, color and materials, MMA has designed a vibrant and exciting environment for current and future students to grow and thrive in a culturally appropriate setting. The school renovation has been designed to enhance the student experience at the school, from unique murals, signage, sculpture and artistic interventions, to paint schemes, classroom furniture selection, and unique custom designed furniture solutions. Vibrancy vitality, light and individuality are the overriding design concepts invested into each wing of the school. Adobe Photoshop, Lumion & Sketchup. Could Walmart of the future look more like Farmers Park than a big-box store?